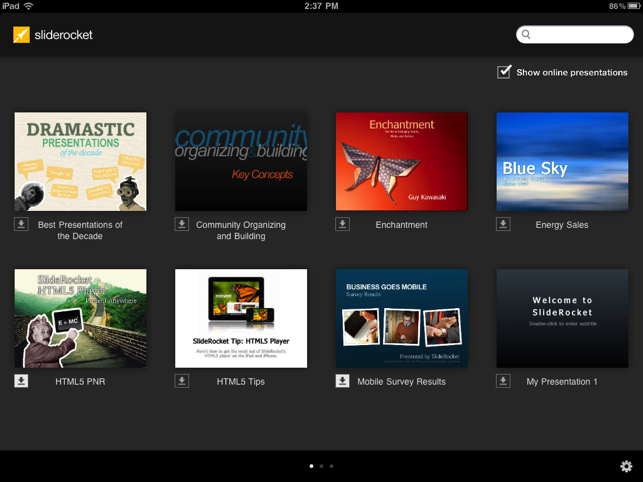 Show your stunning presentations on the iPad with the SlideRocket Player! 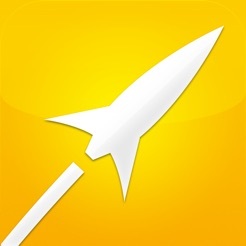 Simply download a SlideRocket or Powerpoint presentation to show it anytime, anywhere, online or off. 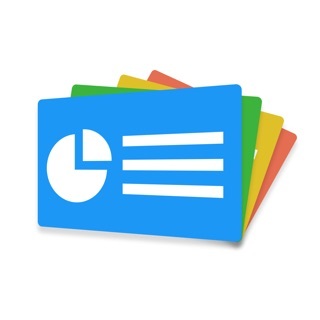 Share presentations across the table or across the globe. 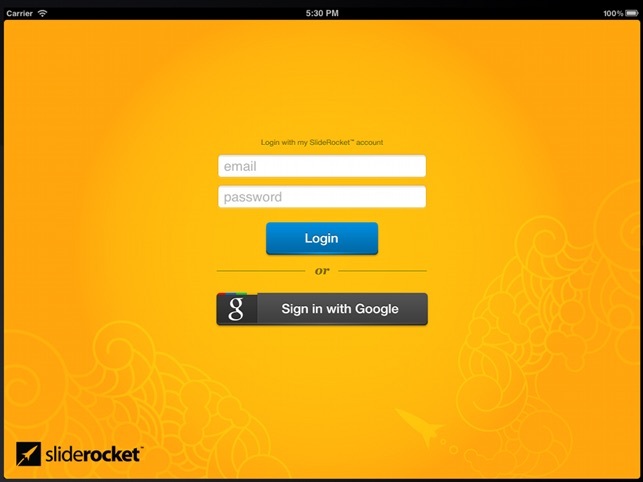 You can even invite someone to view your presentation from a simple link. 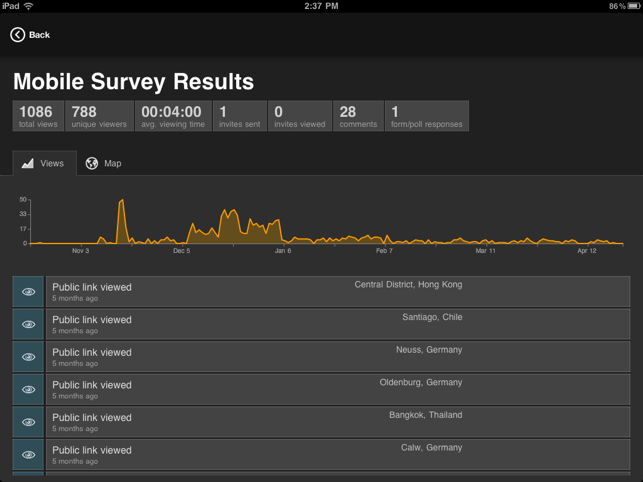 Plus, built in analytics let you know when and where someone's viewed your presentation. 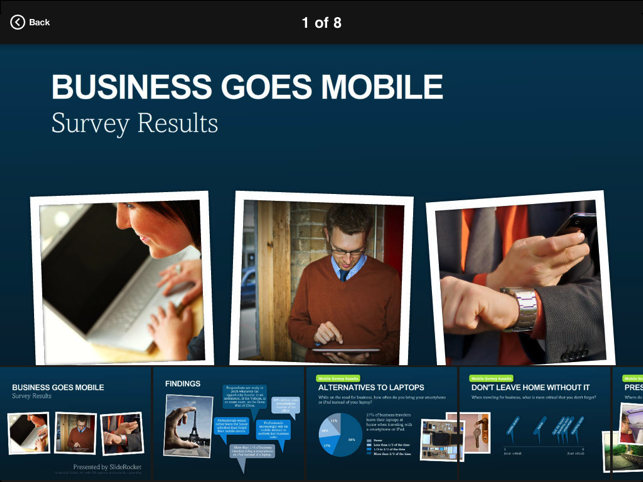 All your presentations go with you wherever you go. Cool idea, but when loading a slide nothing happens. It just keeps on loading till it crashes. 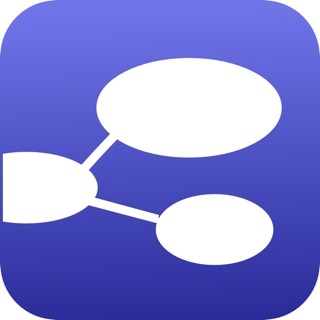 Amateurish app.